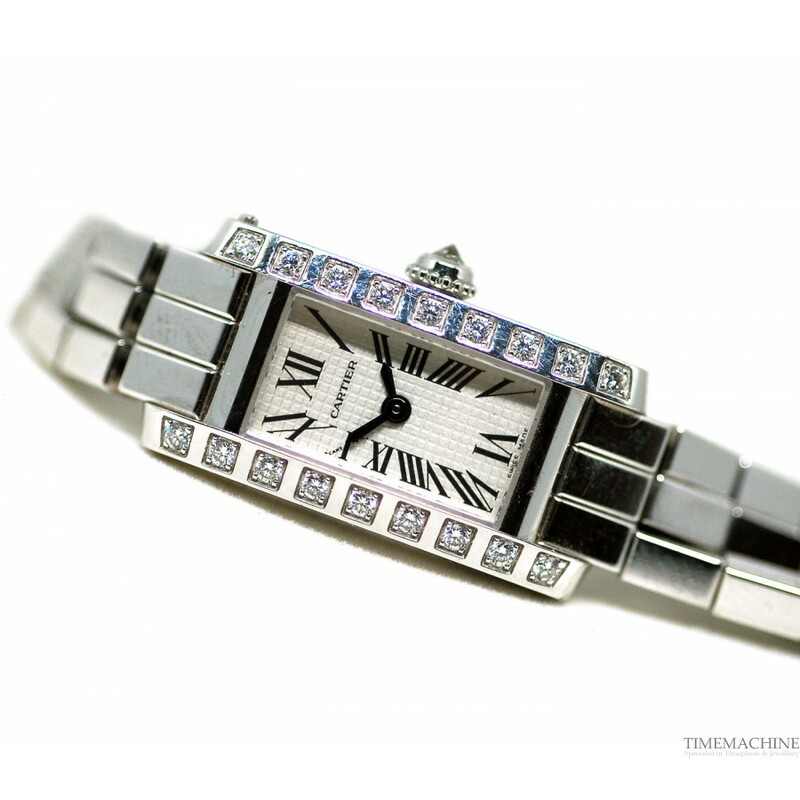 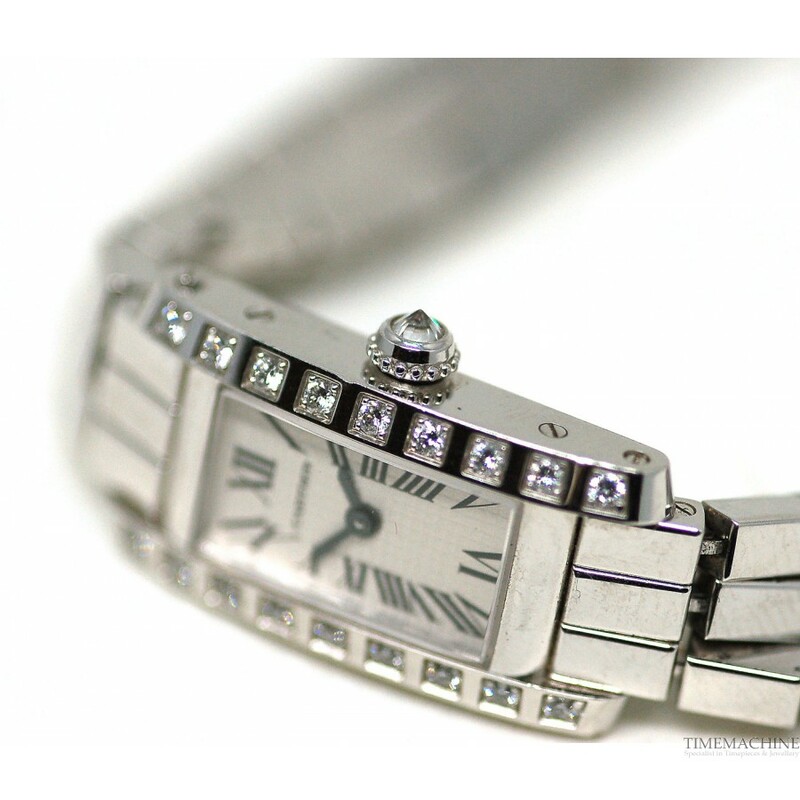 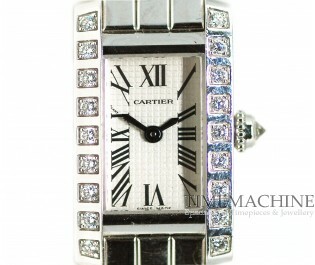 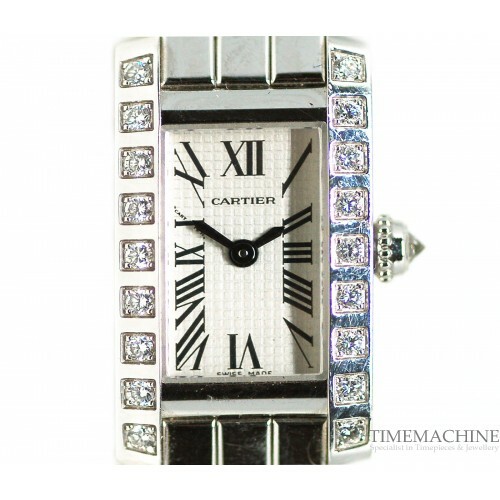 Pre-Owned Cartier Lanieres Ref:2524, mint condition, Diamond Bezel, 14x27mm 18k white gold case, silver dial black Roman numerals, diamond bezel, 18K white gold bracelet, sapphire crystal, 30m water resistant, jewelry clasp. 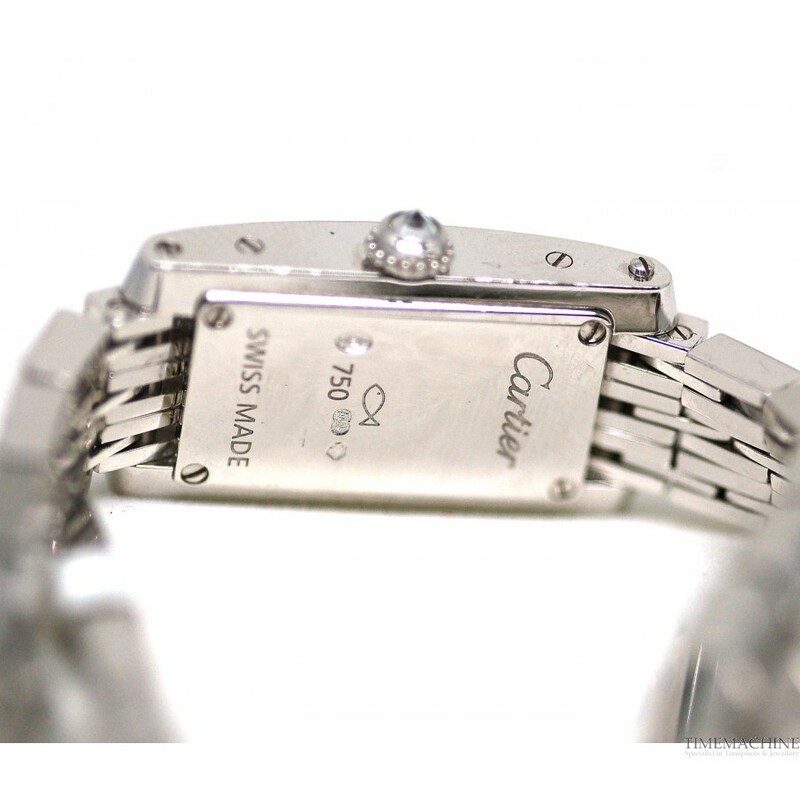 Please quote 211 in all communications with us regarding this Timepiece. The “Lanières” collection is a series of perfect squares shimmering with light, available in a choice of yellow, white or pink gold. 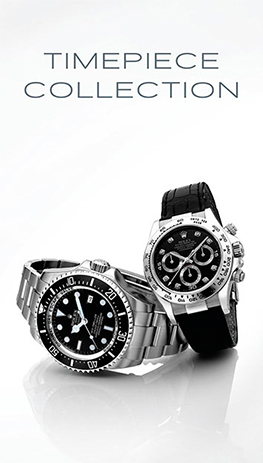 Coloured gemstones and diamonds introduce light to reveal Timepieces that radiate elegance.